Speeding on residential roads is one of the top complaints reported to the Department of Public Works. Studies show that most motorists travel above the 25 mph speed limit on residential roads, and that those who exceed the speed limit come from all age groups. Often residents speed because they feel more familiar and comfortable on roadways they travel regularly, and others may use them as short cuts. Many studies have concluded that drivers are influenced by the type of street and the current traffic conditions, and not the posted speed. In other words, changes in posted speed limits have little to no effect on vehicle speeds. There are several types of roadways in which the speeds are set by the California Vehicle Code (“prima facia” speed limits apply). 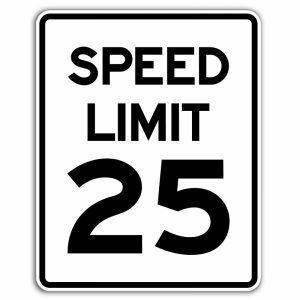 The speed limit on local, residential roads is 25 mph. All other speed limits must be established based on engineering studies which look at roadway conditions, accident records and the existing speeds at which most vehicles travel. Setting unreasonably low speed limits has two negative effects: (1) makes violators out of otherwise law-abiding drivers; and (2) creates difficult situations for the police and community, especially when citations are not upheld in court. Under the right conditions STOP signs can play an important role in traffic safety, when installed at an unsuitable location they can create more problems than they solve. National standards have been established to determine when STOP signs should be installed. These standards consider traffic speed, the number of vehicles, pedestrians and bicycles, intersection sight distance, and the frequency of gaps in traffic to allow safe vehicle entry or pedestrian crossing. Studies have shown that when all-way stops are installed at locations that do not meet requirements, they do little to slow traffic and can actually make the intersection less safe. Unwarranted stop signs are frequently ignored by drivers on the main street, putting pedestrians and cross-traffic at a higher risk. Numerous studies nationwide have shown that speeds within a block of unwarranted stop signs are largely unaffected. Naturally, motorists have to slow down when approaching a stop sign, but they often speed up quickly to make up for lost time. In addition, stopping and starting causes an increase in tire and engine noise and an increase in air pollution. 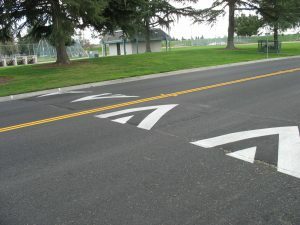 Speed humps are raised areas in the roadway pavement surface that extend across the travel way to slow vehicle speeds. A speed “hump” is a gradual rise in the pavement surface and is used on public streets, unlike a “speed bump” which is an abrupt change in pavement height typically used for private driveways and parking lots. Signs are typically used to guide and inform drivers. Too many signs can confuse, distract and irritate motorists. Overuse of signs can lead to “sign pollution” and promote disrespect for all signs. “Children at Play” signs tend to contribute to this feeling. Even though it may seem this type of sign would protect neighborhood children, studies indicate otherwise. 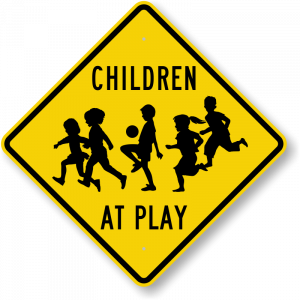 There has been no evidence to indicate that “Children at Play” signs reduce pedestrian-involved collisions or lower speeds. In addition, pedestrians may feel a false sense of security since drivers often disregard these signs. Signs that encourage parents or children to believe they have added protection can do more harm than good. Children should not be encouraged to play in the street. 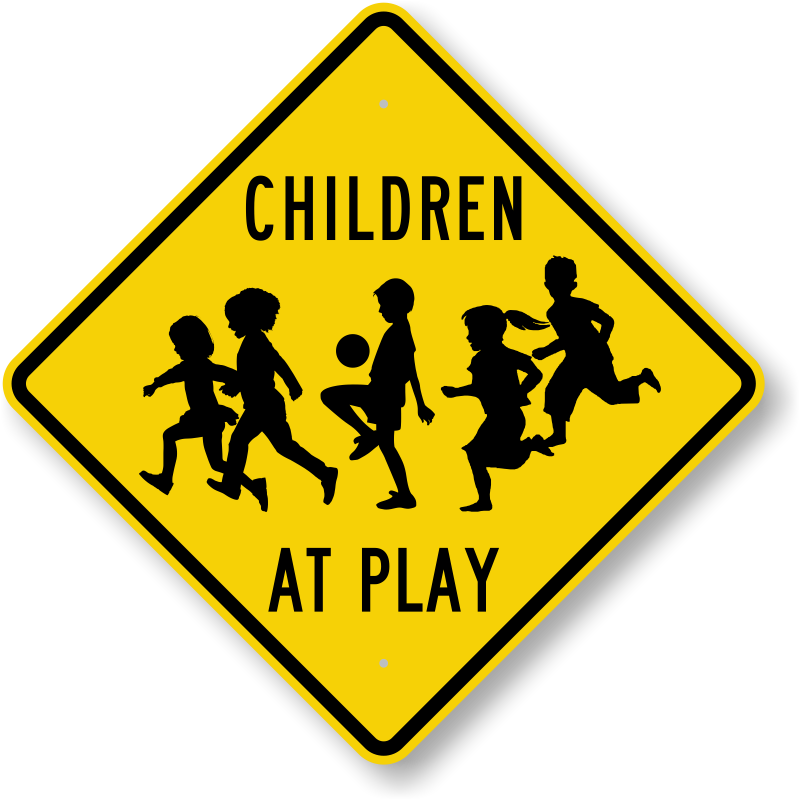 In fact, these signs have been removed from the federal list of approved traffic control signs since they suggest that playing in the street is not acceptable. Specific warnings for school zones and crosswalk locations are available, and have shown to be effective when properly installed. If you have a request that was not answered with the information above, please fill out the form below and it will be reviewed and responded to by someone in the Traffic Engineering Division.